Cristian is a a technical expert when it comes to high-end wireless telecommunication systems. 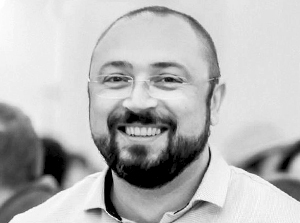 He holds a PhD Degree in telecommunications and is also an associate professor at the “Politehnica” University of Bucharest and the author of numerous research papers about FPGA programming, WiMAX and 3G/UMTS systems, wireless telecommunications and more. His academic background in embedded software and hardware engineering compliments his rewarding career as a Software Engineer, Customer Support Product Manager, Technical Expert, Project Director and Practice Manager. Cristian joined Pentalog in 2010 and currently holds the position of Manager for the Bucharest delivery center. Leveraging his technical and leadership expertise, he supports clients in launching their projects, choosing the right profiles and managing the overall quality of their products and experiences.